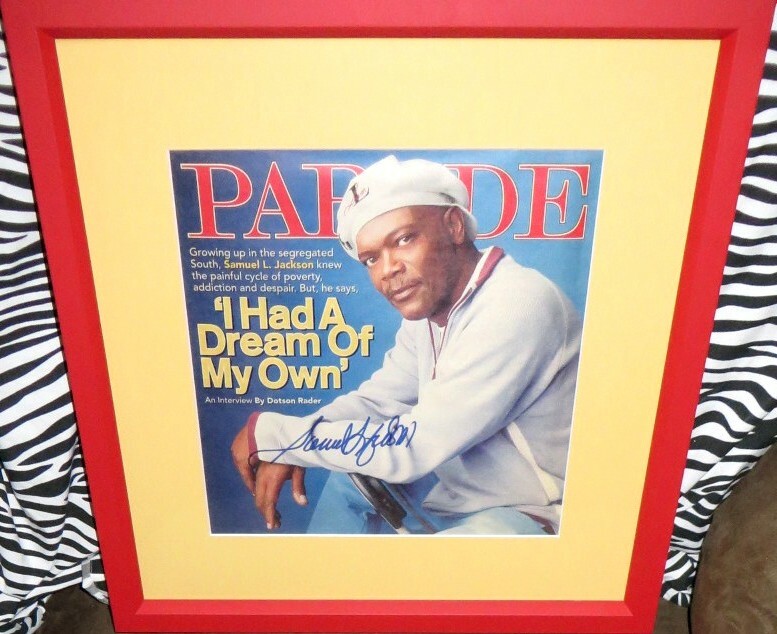 Parade magazine cover (oversized) autographed in blue marker by versatile actor Samuel L. Jackson, professionally matted in yellow and framed with glass in red, ready to hang. Framed size is about 15 1/2 by 15 1/2 inches. 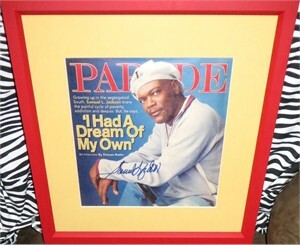 ONLY ONE WITH THIS FRAMING AVAILABLE FOR SALE. Obtained in person at celebrity golf tournament. With certificate of authenticity from AutographsForSale.com.